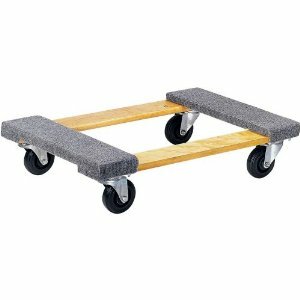 Dollies are platforms on wheels. They are essential for moving heavy and large things, especially when you don’t have a bunch of people to help you, and sometimes even when you do. 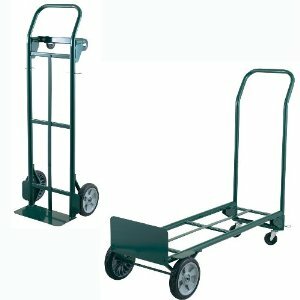 Anyone thinking about pulling a do-it-yourself move should seriously consider buying a dolly. However, even those who are hiring a moving company should own one for the future, because you never know when you’ll need to move your fridge or couch. 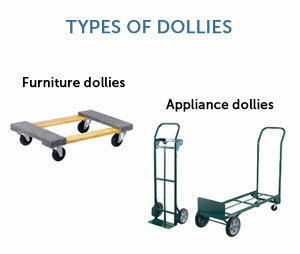 There are two basic types of dollies: appliance dollies and furniture dollies.